Faker now holds the record for most concurrent viewers on an individual player’s stream, as SKT officially move over to Twitch. It should come as no surprise that Lee “Faker” Sang-hyeok broke a major Twitch record during his first day using the streaming service. I mean, he is the best player in League of Legends history, after all. Marking League team SKT T1’s official arrival on Twitch, Faker amassed 245,100 concurrent viewers, setting the record for an individual streamer’s channel. 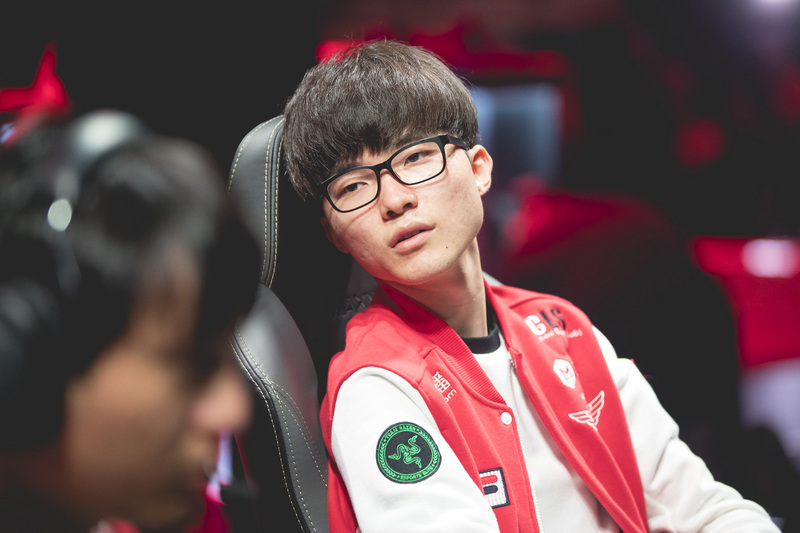 He joined SKT T1 top laner Geo “Huni” Seung-hoon, jungler Han “Peanut” Wang-ho, AD carry Bae “Bang” Jun-sik, and support Lee “Wolf” Jae-wan in the team’s move from former streaming service Azubu. Faker stuck mostly to speaking Korean, though an English translator was on hand to help English language viewers. It’s unclear whether Faker’s stream will continue in this fashion, or if the translator was a one time deal for the player’s first day. We’ve reached out to Twitch for clarification. It looks like being bumped down a slot in Twitch numbers is something other League streamers are just going to have to get used to.